Imagine a city where people travel seamlessly on their way to and from work, new technology is integrated into everyday life, the air is clean of pollution, and people feel safe and welcome. It may sound too good to be true, but for a number of entrepreneurs and engineers, it’s a reality they are working towards every day. 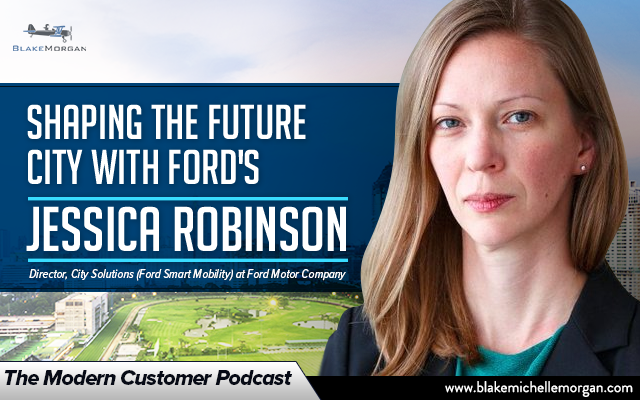 Ford is leading the charge to bring together all kinds of thinkers and creators to consider the future city — a place where new technology is used and executed smoothly in a way that is useful for the people and sustainable for the environment. From city planners to scientists and engineers, people from across nearly every discipline are involved in the conversation. In order to make the future city a real possibility, everyone must be involved and on board. There are a number of things to consider when creating the city of the future, including transportation, logistics, weather, safety, and much more. One area that is a central focus for many companies, including Ford, is transportation. Cities of the future over the next 20-100 years can’t rely on cars because it will lead to too much congestion and pollution. Instead, these thinkers are considering new ways to move people around that harness the power of machine learning, artificial intelligence, and other new technologies. Ford is doing it through its recent acquisition of Chariot Shuttle — a micro-transit company that operates vans that can hold up to 14 passengers. These vans operate throughout cities to get passengers where they need to go, but the routes are entirely crowd-sourced, meaning that if enough people need to travel to or from a certain spot, the routes can be changed to accommodate their needs. There’s no doubt that people love the convenience of living in cities. In fact, cities are expected to grow by 60% by 2030. Now it’s up to the city managers, local leader, engineers, entrepreneurs, and more to turn those cities into sustainable entities. Creating the city of the future requires thinking outside the box — building more freeways won’t fix LA’s notoriously bad traffic, for example, so the conversation has moved to creative alternatives with public transportation. As the number of options available for public and shared transportation grows, cities need to better understand the trends and what is happening so they can continually improve the systems. Creating the city of the future is both a daunting and exciting challenge, and it all starts with a conversation across industries and expertise. With resources, new technology, and a collection of creative ideas, the city of the future might be here sooner than we think.